So I guess maybe I want to make a blog about my sewing stuff? But then why shouldn’t I just post it on my LiveJournal? I like my LiveJournal and I miss the golden age of LiveJournal and I should take advantage of a reason to do things on it, right? P.S. I included this photo of a tiny dog with a large moustache because it looks weird if I don’t have a photo attached to each post, I guess? And this was a photo that was on my computer at work. So take that. 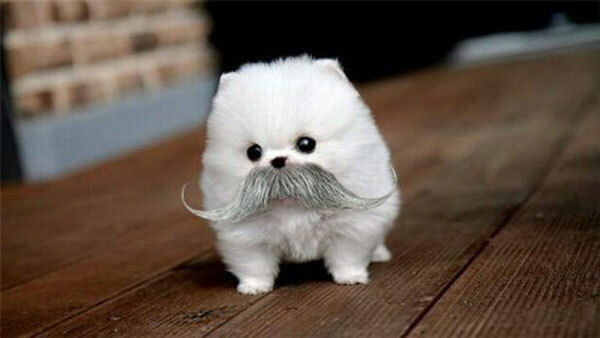 Maybe if I spend too much time looking at photos of tiny dogs with large moustaches, they’ll fire me and I can spend all day on my blog. Blog blog blog blog. P.P.S. Somebody (chrome? WordPress?) wants me to spell moustache without the “o!” Balls on that.